This course provides solid, end-to-end, foundational coverage of virtualization technologies, types and mechanisms. 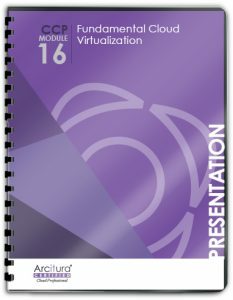 Core topic areas pertaining to the fundamental virtualization mechanisms and types used within contemporary cloud computing platforms are explored, along with various key performance indicators and related metrics. 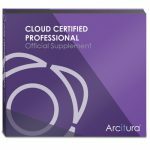 – Data Center, Storage, Application, Desktop, Network, Server, etc. 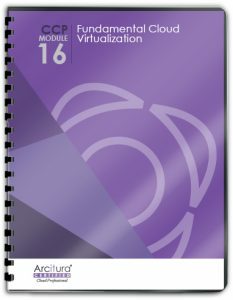 – Virtualization Agent, Virtual Server State Manager, Virtual Appliance, Virtual Firewall, etc. 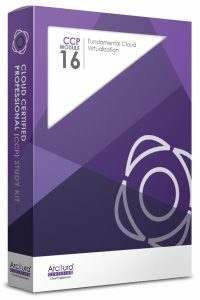 Visit the CCP Module 16 Study Kit page for pricing information and for details. Also, visit the Study Kits Overview page for information regarding discounted Certification Study Kit Bundles for individual certification tracks.